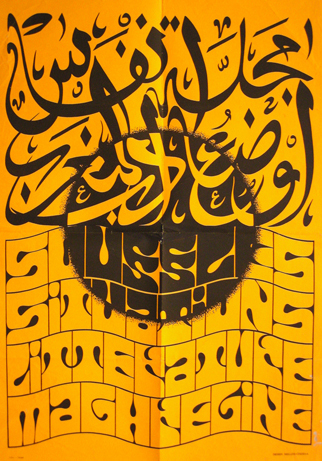 The magazine Souffles (“Breaths”) was born in 1966 in Morocco, as a consequence of the meeting of some poets who felt the poetic urgency of a forum and a revival. But, it very quickly crystallized all the Moroccan creative energies: painters, film-directors, playwrights, researchers, thinkers… Throughout its existence, Souffles also opened up to cultures from other countries of the Maghreb and those of the Third World. Forbidden in 1972, Souffles remained for a long time unobtainable. Souffles is a major magazine for readers and researchers willing to work on Maghreb’s literature and on the problems of moroccan national culture and cultural decolonization. We therefore decided to add online an electronic version of the magazine to make it available to researchers and to the widest possible audience. We would like to pay tribute to our American university friends Thomas Spear, Carole Netter and Anne George who, several years ago, had the idea to make the magazine Souffles available online. They therefore rended a great service to Moroccan culture. See Olivia C. Harrison, “Cross-Colonial Poetics: Souffles-Anfas and the Figure of Palestine”, in the Journal of the Modern Language Association of America. Vol. 128, 2, March 2013.